Boat Description Combining intelligent features with sensible styling, the 390 Motor Yacht offers a great deal more than a pretty face. You`ll enjoy her impressive, roomy interior, smart engineering, ample sleeping accommodations and breathtaking cockpit view. 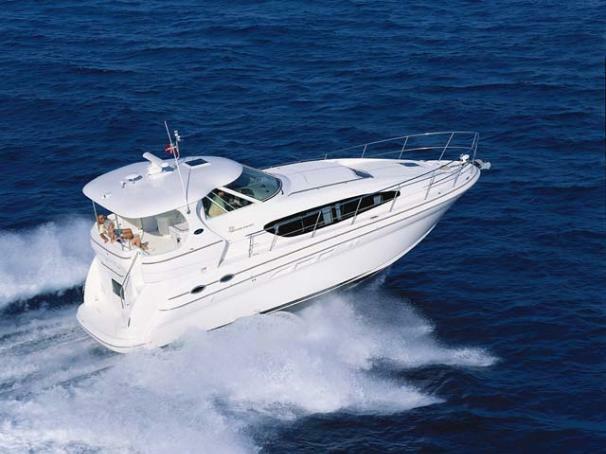 And her twin 8.1 S Horizon MerCruiser gas inboards power this 39-footer to her destination with ease. Step aboard and you`ll quickly see why the 390 Motor Yacht is the new standard in its class. Engine Notes Max engine is Cummins diesel option.